New tutorial! This one's really easy too, but looks SO cute! Not a lot else to say here, but if you want to see the rest of my tutorials you can see them HERE or just click on the "tutorials" tab. These strawberry nails are great for New Zealanders at the moment too - it's the middle of summer here and nothing says sunshine like strawberries! I'll probably end up making a youtube tutorial for this too. These are just so fabulous! I will definitely be using your tutorial! By the way, thankyou for always providing such wonderful tutorials that are easy to follow! Thanks! You're welcome, I love doing them! A big favourite of mine! They always look so cute and get lots of comments. They're lovely. 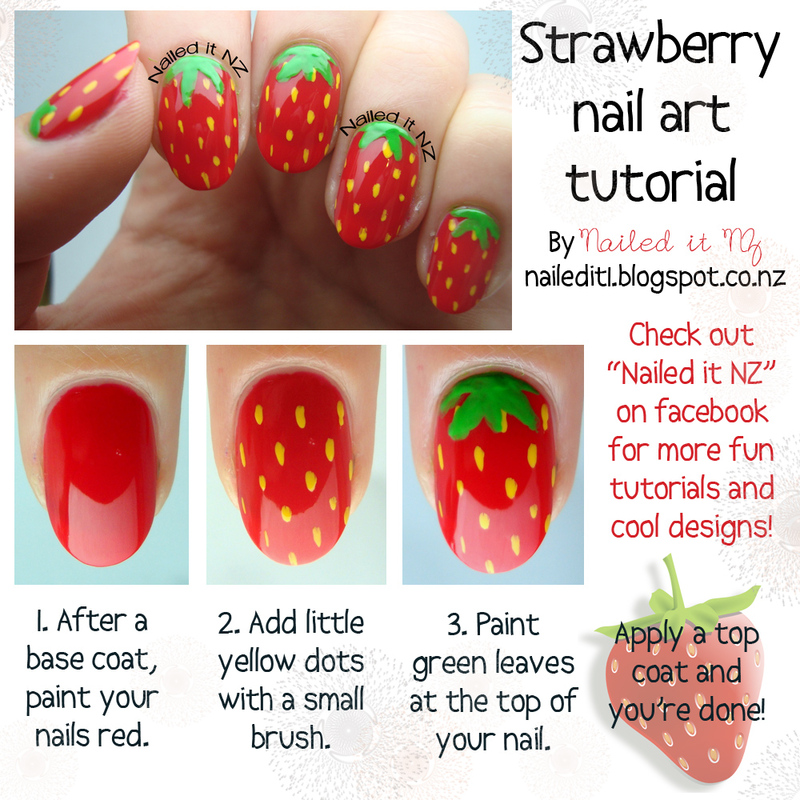 I keep meaning to try strawberry nails but I think I shall wait until it's a wee bit nicer outside. Fair enough! It's much better weather where I love thank goodness.